Our casual tote has plenty of space for all your essentials (and miscellaneous non-essentials, too). 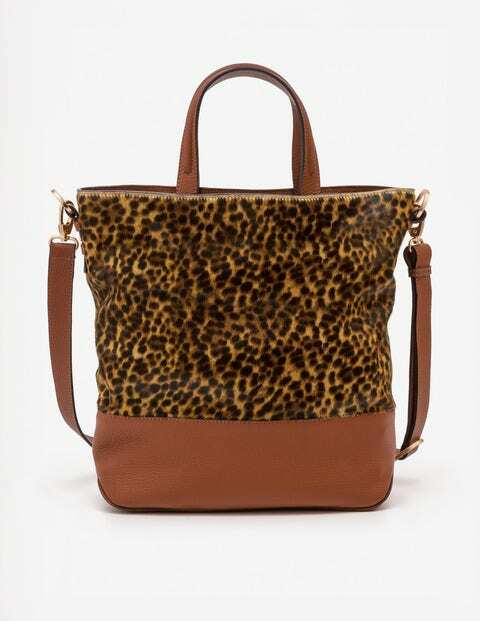 It has a slouchy shape that can be carried cross-body or with the top handle. We've added an internal zip pocket for smaller bits and bobs, plus a phone slot to keep rummaging to a minimum. The only question now is, can you choose from our tempting options: cow hide with grainy leather or suede with metallic leather?